ASL Slam | Circa News - Learn. Think. Do. WATCH| ASL Slam is an "open hands" event where members of the deaf community express themselves through poetry. Held at the Nuyorican Poets Cafe, individuals can rap, rhapsodize and rehash on stage. Douglas and Darren previewed the show on Facebook. Here is one of Douglas' Instagram videos about 1-10 hand shape stories. 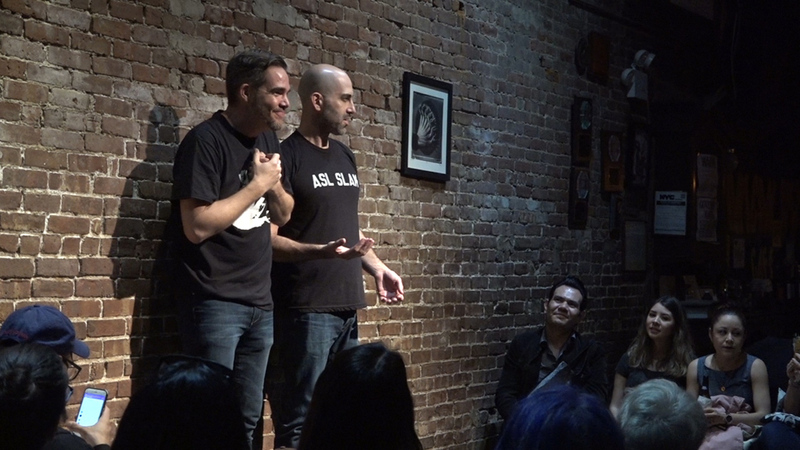 ASL Slam has been touring around the world. Check out this video from their Chicago performance. WATCH | These street poets are "savings lives one rhyme at a time." They're literally helping hundreds of at-risk youth turn their lives around and use their voices for a force of good.